Game Protector - Keep your accounts and documents safe with Homecare™ security system powered by Trend Micro™. Game Statistics - Real-time latency, game duration and network resource allocation in a glance with fine-tuned UI. 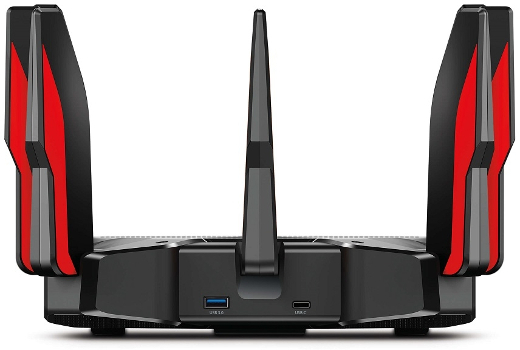 Powerful Processing - 1.8 GHz Quad-Core CPU and 3 coprocessors ensure your network performance always at peak run. Highly Efficient - OFDMA increases the avg. 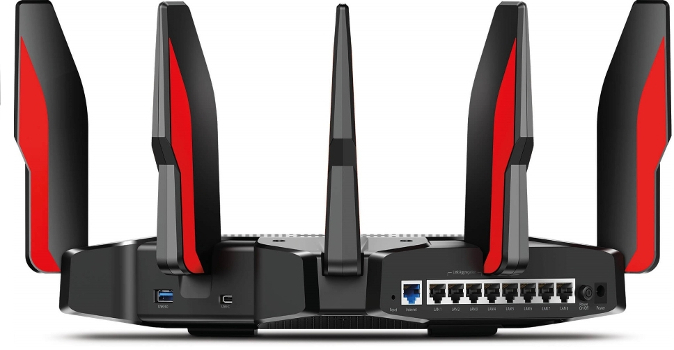 throughput and reduces the lag. 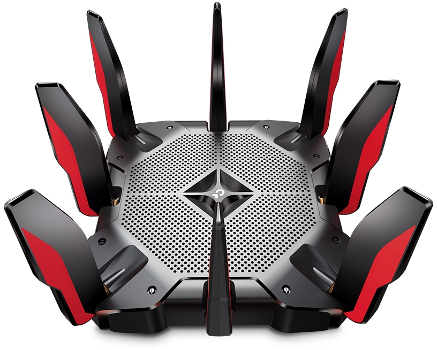 Easy and Smart - Link to your router via Bluetooth and set it up in minutes with the powerful Tether app. GAMING BAND - a dedicated gaming band for your game rigs, makes your online games and your families' Netflix 4K streaming no more competitor. DFS expands available channel automatically, get on the more vacant lane and boost the game. 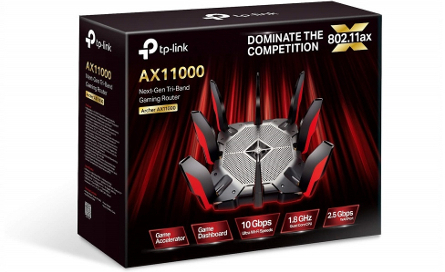 Download the TP-LINK AX11000 Next-Gen Tri-Band Gaming Router Datasheet (PDF).